Yep, we are open weekends! Our Customers In Alexandra Headland Love Their Experience With Us! Computer Fixperts Alexandra Headland – Most Computer Problems Fixed At Yours Same Day! Are you looking for a professional computer repair service that comes to your home or office in Alexandra Headland? How about IT support that can, in most cases, fix your computer problems right there on the spot? Well, there’s no need to look anywhere else! Our computer technicians work 7 days a week and do not charge any extra for weekends. We do not charge travel or call out fees and we offer a competitively priced flat rate repair. Yep, we don’t charge by the hour – So you know exactly what you’re up for! Keep in mind, that if replacement parts or data recovery are required, that is additional. Be confident our experienced team of computer technicians offer the most prompt and highest quality of service available. Ring us today on 1800 706 676 or contact us now for a quote. We believe you’ll be super impressed with how quick our turn-around time is. We are punctual, fully stocked and time efficient. Our clients in most cases have their PC’s sorted immediately as opposed to dropping it off at computer shops for days if not a week! Computer Fixperts always aim for excellence while providing outstanding value to our customers. Be sure to check out all our Google & Facebook testimonials! Our team have a huge range of replacement parts in stock for most laptop fixes & desktop PC makes and models such as: Compaq, Sony, HP, Toshiba, Apple, Lenovo, Samsung, IBM, MSI, Asus, Dell, Acer just to name a few! Our team truly are the most prepared computer repair service available to fix most computers same day. Let’s say your computer needs repairing. You’re spacking out because you have too much work to do or you have an assignment due the following morning! You’re not confident what’s going on with the computer, and the last thing you want is a technician coming to you from a computer repair shop and taking their sweet time to solve it while accumulating up a huge time-based bill for you! The great news is, unlike other home computer technical support services, Computer Fixperts DON’T BILL BY THE HOUR! Instead, we offer just a simple flat rate laptop repair anywhere in Alexandra Headland. This means you don’t have to worry about how long the PC repair job goes for. It is important to explain to you that parts are not included in this flat rate. Yes of course! Our techs in the field carry mobile EFTPOS facilities with them. They accept VISA, Master Card and cash. PayPass is also available. computer repair in Alexandra Headland only? No, we service other cities too! If you’re wondering what the closest IT technicians near me is in order to fix my laptop or PC, look no further! We offer computer support services in Alexandra Headland and other close by areas. Take a look at the map, you’ll see we service pretty much everywhere in between those locations mentioned. Contact us if you are outside this service area as we might be able to offer you over the phone remote assistance. This is where we can control your PC from our office whilst on the phone to you. This is also available at a reduced rate. Yes we do! From custom office setups, to high-end gaming rigs. Computer Fixperts can offer a tailor-made solution to suit any need and budget. Do you offer on-site Apple Mac repairs in Alexandra Headland? Yes we do! 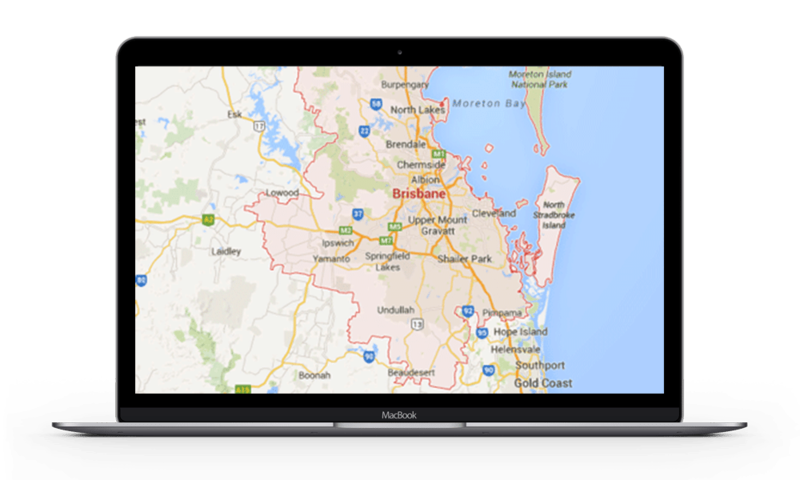 Our Alexandra Headland laptop technicians are experienced in both PC & Apple Mac. Whether you have a broken Apple MacBook Pro screen that needs repairing or an Apple Imac that is not booting up, Computer Fixperts can help! Do you offer ``No Fix, No Fee`` laptop and desktop repairs? No we do not. When it comes to repairing your computer, Computer Fixperts are of the view that technically every computer repair issue is fixable. Some of our competitors in Alexandra Headland offer “no fix no fee” and we’d guarantee you that they almost never action that promise, as pretty much every computer issue is fixable one way or another. It’s just a question of how much the customer is willing to spend on the repair or whether the parts are even available on certain models of computers. We don’t just offer top-notch on-site computer repairs, we also have a fully equipped data recovery laboratory that offers a free pickup at your home or office in Alexandra Headland. Our data recovery engineers can recover your precious data from even the most difficult cases! Whether your hard drive has been dropped, is not spinning, making clicking or grinding noises or was hit by a power surge, we can help. When looking for a local computer repairs service in Alexandra Headland, it pays to choose a repair provider that knows what they’re doing and Computer Fixperts is exactly that. Our top-notch computer technicians are capable of repairing any machine. Whether it be a laptop, PC, or Mac. In fact, we guarantee that we have seen and solved every computer issue under the sun at one time or another. We truly are computer gurus that can offer most mobile computer support in your area. Are you faced with a computer hardware issue? Is your system in need of a parts upgrade or routine maintenance? Are you looking to repair a specific part that’s damaged or outdated? If it’s an issue with your computer, chances are we’ve handled it before! Let our computer techs make short work of even the most difficult problems. Laptop not powering up? Or are you concerned about important documents or data that you’re sure are gone for good? Let Computer Fixperts take a closer look before you decide nothing can be done. We can not only recover your data, but also back it up for you so the same thing doesn’t come to light again. Do you have reason to suspect a nasty Microsoft Windows computer virus might be the cause of your problem? Facing with spyware or persistent browser pop-ups that none of your utilities seem to be able to remove? Our crack shot laptop repairs team know the inside of your laptop or PC just as well as they know the outside. Whether it’s annoying advertisements popping up on your screen or simply not being able to get into your emails, we can help! We also offer advice on which antivirus products work best and can provide you with the right ongoing software arsenal to keep that nasty malware at bay moving forward. No Worries, No Fuss… Just Quality Computer Repairs You Can trust! Computer Fixperts isn’t just about comprehensive, friendly PC repair from experts that know what they’re doing. We consider customer service and solid value to be of our main focus. That’s exactly why we never charge additional call-out fees or travel expenses. We don’t charge you according to by-the-hour rates that can add up to a much bigger bills than you bargained for. We offer one flat rate laptop repair every time, so there are never any terrible surprises! Only value-oriented, high caliber service with a smile… every time! (Parts and large file transfers are additional) Contact us today and let’s have a chat about how we can help you with your computer dramas!